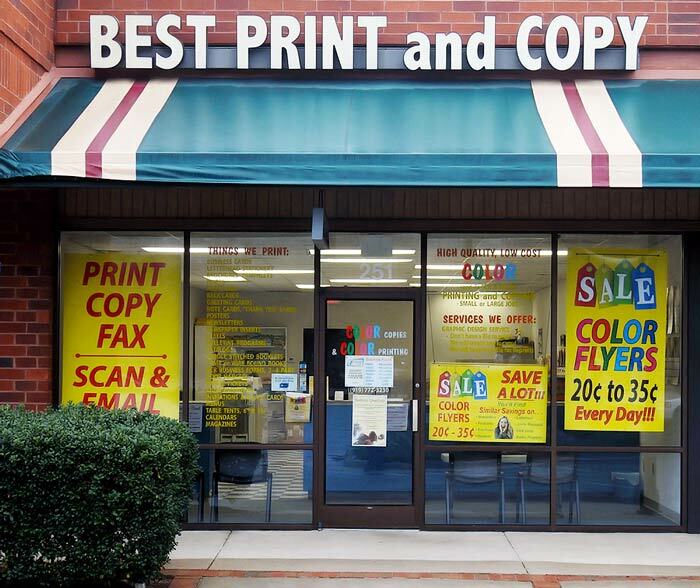 Best Print and Copy, Inc. offers top-quality digital printing and copy services to individuals and businesses throughout Garner, NC. Our expansive range of equipment and in-house expertise allows us to design and print virtually anything you may have a need for, including large-format jobs, offset printed materials, digital printing runs and more. Get in touch with us today for pricing! Your professionally-printed products should exude excellence, demand distinction and captivate onlookers. From the design, to the medium, to finishing and beyond, to produce these exceptional types of materials requires the assistance of a superior print shop in Garner, NC. Best Print and Copy, Inc. is here to answer the call! No matter what types of products you need, no matter the capacity, no matter the specifications or demands of your collateral, our team is here to turn concepts into quality. With a vast range of in-house equipment and print industry talent that’s expertly tenured, we guarantee only the best in professionally printed products. We’ve staked our name on it! Our business is highly rated by the Better Business Bureau (BBB), maintaining an A-plus rating! Our designers are Adobe Certified and can leverage state-of-the-art software to help you design excellence. We offer a full range of design and print services for businesses of all types, in all industries. We do our designing and printing in-house, so you can always trust in our abilities. We’re happy to provide you with a free and honest quote on pricing for your project. If you’re looking for design and print services, get in touch with us today! We’re ready to provide you with a free quote and can get the ball rolling on your project.